Alvin E. Roth and Lloyd S. Shapley "for the theory of stable allocations and the practice of market design". 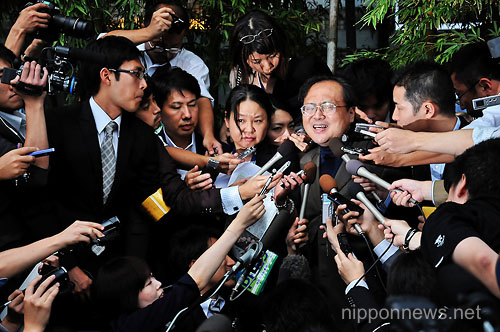 Hisashi Moriguchi is all over the news and almost everyone has talked about it. His claims on stem cells research was suspicious enough to come under a check. His subsequent retraction of the claims further strengthened the "claims were fake"and invited himself to be fired off from the institute he was working. The material was also calculated to be plaggered and represents a scientists pressure to perform. More story here and here. I have a strong note to make that is my day to day experience many a number of times. I have seen people (especially students) wearing their laboratory coats outside the laboratory. You could see them roaming with such coats even in malls. They probably think it is a fashionable material. I often wonder at this. There has been multiple studies throughout the world showing such behavior is potentially hazardous. For example take this study published in JCDR recently. Am specifically making this note because, I cannot stand this behavior and i have strong feeling that such people should be scrutinized for pathogen dissemination and considered as intentional Bio-weapon act. A recently published article in mBio (ASM press), by Njoroge etal, shows something that i have never thought of. The study shows how a enterohemorrhagic E coli, EHEC uses a system for sensing sugar metabolites to turn the AE (attaching and effacing) lesions on enterocytes- making machinery on or off. All the articles in the Journal of mBIO is open access and hence i strongly recommend that you read it. The same journal also features a set of arguments (Special issue) on Influenza research (Links 1, 2, 3, 4, 5, 6) that provides perspectives from various angles of science. 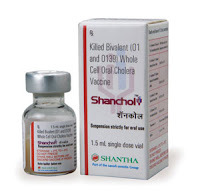 With that let me come into a study published again in Lancet on "Oral cholera vaccine" (Link). The article has brought in me a sufficient set of strong interest, because, cholera is a very devastating disease. Let me start with some background on V cholerae. V cholerae is a gram negative curved (Referred as comma shaped) bacilli, well known for its darting motility. An infection with this bacilli, leads to watery diarrhea, (Rice water stool appearance). The bacteria is a non invasive, self limiting gastro-intestinal pathogen. But the devastating effects are caused by a toxin- Cholera toxin (CT). Interesting enough, the bacteria thrives well in marine conditions. I always envision, the production of CT as a mechanism of making the gut marine like (By liberating ions and bringing a alkaline pH), so the bacteria enjoys the stay. Moreover, the CT coding gene is not a natural bacterial product, but a gene donated by virus. The virus is CTXφ (Reference). There are 2 biotypes of V cholerae O1 group- Classical and El Tor. The classic type was much milder in its properties, and El Tor is an improved version. 524 genes (13.5% of the genome) is differentially expressed in two biotypes. Most of them links to the biological activity. This probably accounts for the difference in pathogenic capacities of the two (Reference). This nasty bacteria (Cant find a better deserved word), has spun a total of 7 documented pandemics in last 200 years (Link). In 1992, A new strain of V cholerae serogroup O139 emerged and was referred to as Bengal strain. The strain, originating in Madras in late 1992, O139 Bengal of V. cholerae has rapidly become epidemic throughout many areas of South Asia since 1993 and threatens to become the 8th pandemic. That means we are expecting an 8th pandemic. 1. Heat- and formalin-killed whole-cell V. cholerae O1 Classical and El Tor. The combination induces mucosal IgA antibacterial immunity, which interferes with colonization and adherence of cholera vibrios to the intestinal epithelium. 2. Recombinant non-toxic B subunit-binding portion of the cholera toxin (Cholera toxin B subunit), which is known to induce protective antitoxic IgA immunity. The second vaccine that has been approved by WHO is Shanchol, manufactured by Shantha Biotechnics. The product was licensed for use in 2009 and has been efficacious, costing US$1.85 a dose. The product had also won the BioSpectrum Asia Pacific Bioscience Industry Product of the Year Award for 2010. In comparison to Dukoral, this is a bivalent vaccine against 2 serogroups O1 and O139. The advantage over the former, is that it doesn't have to be ingested with a buffer. The study under talk here was conducted in Zanzibar (Map shown to the right). A total of 48178 people (of 56620 registered candidates) were found to be eligible for study and a massive vaccination campaign was launched using Dukoral (rBS-WC) vaccine. The vaccine consisted of 1 mg of recombinant cholera toxin B subunit and roughly 10¹¹ inactivated whole cells of Vibrio cholerae O1 Inaba and Ogawa, classic and El Tor strains. Two rounds of vaccination was carried, such that people received 2 doses, with a minimum of 12 days between the 2 doses. Only 23921 people received both the dose. The study measured direct and indirect protection afforded by the vaccine. All the cases that seemed to be a diarrhea was carefully evaluated by standard laboratory procedures. Ultimately, the study found that the recipient of both dose had protection of 79%, and 46% in single dose recipients. But the following statement has bothered me. "Surprisingly, we noted that not only did the vaccine not protect against non-cholera diarrhoea as expected, but also receipt of the vaccine was associated with a higher risk of non-cholera diarrhoea". Now this is something which is against the original claims of vaccine manufacturers. The authors propose that this could have been simply because the people selected was not random, and the people who were participating where originally willing to do so, because they had an increased risk. I thought that not having a Vibrio there might have given competitive edge to other bacteria that can then cause a diarrhea. Yes, it is arguable, but i cannot eliminate this possibility by looking at the provided results. 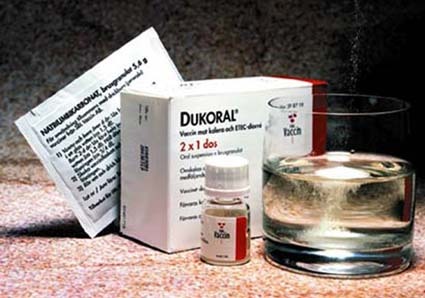 But, what this article means to me is that Dukorol is efficacious to use, and with a better hygienic conditions also, the use may yield good results. But in context of India at least, i had still prefer, Shanchol. That is because Shanchol has O139 component, which is expected to be 8th pandemic. In my last blog post, I commented my views on Adenovirus 36 and its association with obesity. I also argued, regarding the importance of microbial interactions with our own, and how it can manipulate our biology system. There are many more such examples, another famous being association between Coxackie B4 and Diabetes mellitus Type 1. One point that i missed to make is the microbial influence on brain chemistry. A study by Bravo and group, in PNAS were able to demonstrate a significant link between the gut microbiota and neurochemistry. The chief finding reads "L. rhamnosus (JB-1) reduced stress-induced corticosterone and anxiety- and depression-related behavior". With that note of follow up, let me move on to another topic on staphylococcus aureus. In a TWiM issue, there was an incredible discussion on Staphylococcus aureus. In the podcast, i was introduced to a bacterial interference of interest. They made a point. Staphylococcus epidermidids, produces a factor called Esp that can inhibit Staphylococcus aureus. I never knew that there exists such an interesting fact. So i decided to give a bit more detailed look into this. For a few basic information on Staphylococcus you can view my previous post here. Staphylococcus aureus represents a major health problem in Medicine. And carrying them around is bad. Worst, people don't know are they carrying it themselves. The dwelling site for the pathogen, can be at multiple sites, such as Skin or Nasal flora. And they may be a long term carrier or, intermittent one. Nearly 40% of healthy people can carry this organism on their skin without any signs of infection. This is referred as colonization. MRSA or Methicillin resistant staphylococcus aureus, represents a great problem. They are often difficult to treat infections, and dealt with higher level of antibiotics such as Vancomycin. And the next strain version VRSA (Vancomycin resistant staphylococcus aureus), represents another major leap in this problem. The Fig 1, illustrates the Mec gene complex responsible for the Methicillin resistance. Carriers of MRSA are the potential problems. MRSA recovery from nasal sites has been reported widely and in increasing frequency. The best available protocols suggest that all the health care workers (Hospital staff), be screened for the presence of Staph. The positive carriers should be then put on an antibiotic regimen usually involving bacitracin or rifampicin. Please note they have side effects. Mupirocin calcium (Topical application) is considered by many clinicians for treating nasal carriers. Before i go further, i want to make a note on biofilms. Biofilm are structures formed when bacteria/ microbe adhere to surfaces in aqueous environments, excrete a slimy, glue-like substance that can anchor them to surfaces. Biofilms maybe formed on tissue surfaces also. Its a bit like encasement, which protects them from resistance forces and also antibiotics. The biofilm maybe formed by one particular species or more often maybe poly-microbial in nature. The Photo 1 to the right shows a Staph biofilm, imaged with Confocal laser microscopy. So here's the deal. Staphylococcus aureus and Staphylococcus epidermidis don't like each other. The S. epidermidis, being a normal commensal of human flora demands its place. When encountered by the rival, a product called as Esp intervenes with the biofilm of S. aureus causing disruption. The idea is let the microbe brothers (or sisters, whatever) keep fighting and we make use of the strategy. There is a huge amount of epidemiological and experimental data suggesting only S aureus or S. epidermidis resides at one point of time. Purified Esp inhibits biofilm formation and destroys pre-existing S. aureus biofilms (Reference). Esp stands for "epidermidis serine protease". 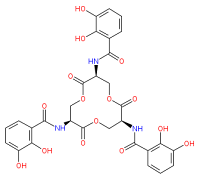 First discovered by Moon etal was described as an endopeptidase. It had the properties of being a degrade fibrinogen, complement protein C5, and several other proteins. 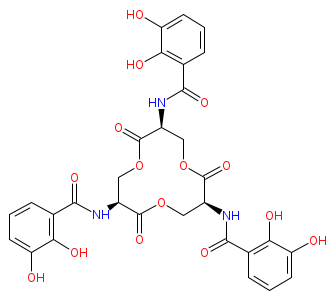 This proteinase was shown to possess a strong preference for cleavage after glutamic acid residues, but not after aspartic acid. It is not exactly known, how the Esp is able to interfere with the biofilm formation. Compounds such as Lysostaphin work by attacking both the individual sessile cells of the S. aureus biofilms and the extracellular matrix (Reference). In contrast, the Esp does not break biofilm by killing the bacteria that are in the biofilm, but more possibly releases the bacteria from the biofilm (Link).Moreover, Esp enhances the susceptibility of S. aureus in biofilms to immune system components. A study in PLoS One, evaluated the potential of S epidermidis colonization in a mouse model and found it successfully could MRSA occupying the area. This study highlights a nasal probiotic use, which is potentially a good way to eliminate Staph Colonization. However, i have some unsolved questions. The first is, will the method be of potential use in eliminating a pre existing staphylococcus biofilm and completely eliminate them. Am not sure if this can happen and probably the bacterial load may be important. The second is we could establish a S epidermidis in nasal flora that represents a potential problem. So use of Esp as a pharmacological compound is better. And how long will it last? Sugimoto S, Iwase T, Sato F, Tajima A, Shinji H, & Mizunoe Y (2011). Cloning, expression and purification of extracellular serine protease Esp, a biofilm-degrading enzyme, from Staphylococcus epidermidis. Journal of applied microbiology, 111 (6), 1406-15 PMID: 21974778. Adenovirus 36 said: "You are obese"
I have been claiming in my previous posts that "Microbiome" is a huge influencer of what we actually are. The number of diseases we are discovering, slowly but steadily maps to some microbe or polymicrobial triggers. Sure, thats a slight show off but has strong evidence. As far as my argument goes and supported by multiple research, its indeed the case. Most of the diseases such as obesity, diabetes, atherosclerosis etc have been considered classic non infectious etiology disease. As the current research stands, most of them are known to be mediated by some sort of inflammatory related or oxygen stress. But then were does this stress come from? I did a very elaborate google search. And my understanding was that almost nearly 60% was environmental and factors like genetics impacts health. But then there was direct or indirect influence from Microbiome in the rest of the cases (Nearly 40%). Consider these statements. The number of microbes roughly is 10 times more bacterial cells than number of our own cells (Thats only bacteria. If I consider viruses and fungus also, it probably is several orders of magnitude higher). Almost 8% of our genome consists of inactivated retroviral genome (Endogenous retrovirus; ERV). And most of the Junk DNA in our genome consists of self replicating sequences such as transposons, retrotransposons etc. That means much of our genome is not ours!! ERV elements code for some important proteins such as syncytin (retroviral envelope protein) is important for Placental morphogenesis. (Reference here and here). I have just given a few well known examples here to prove my point of influence and participation of microbiome. I could just go on and on. Now that i have impressed with u facts, its a good transition for me to discuss adenovirus 36 and its link to obesity. Adenovirus first discovered in 1950's, are medium sized non enveloped, icosahedral shaped double stranded linear DNA viruses. They are sometimes casually referred as "Space vehicle virus" (Their shape resemblance). I wish to call them as vehicle viruses cause they are so commonly used as vectors in gene delivery systems (Kidding....!!!!). Adenoviruses are grouped into subgroups as shown in the Fig 2. To the best of my knowledge as of now, we know 54 serotypes. The 52nd serotype though has been identified is probably a variant of serotype 41 and there's some debate on its serotype status. However, if it is a separate entity then it will belong to group G. So how many groups exists in Adenovirus? Its A through F (or G, as the argument i just mentioned above). The original classification was based on the oncogenicity potential on newborn hamsters. A compilation of Adenovirus serotype and the well established diseases by them are shown in table 1. As can be seen, they cause a wide variety of infections. Some serotypes are not seen in the list here cause the infection is not so well established (Source). Table 1: Clinical conditions caused by adenovirus by serotype. Why such a variety of clinical conditions by one type of virus and variation between serotypes? The answer lies in the fact that different serotypes utilize different receptors to make an entry into the cell. For example CAR (Coxsackie and adenovirus receptor encoded by CXADR gene) is recognized serotypes like 12, 31 etc; Sialic acid by 8, 19, 37; CD46 by 16, 50 etc; CD80 and 86 by 3; VCAM-1 by 5 and so on. What is obesity? In the simplest of terms, obesity is excessive accumulation of fat. This should be contrasted from overweight which is simply excessive weight. Overweight can also be due to high muscle and bone mass. However, in much of the literature a distinction is not made and terms used interchangeably. That brings me to what i was talking about. 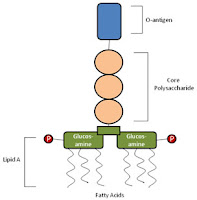 "Adenovirus 36 and its link to obesity". The Adv36 first isolated in 1980, belongs to group D. The association was implicated from a long time with no considerate proof. 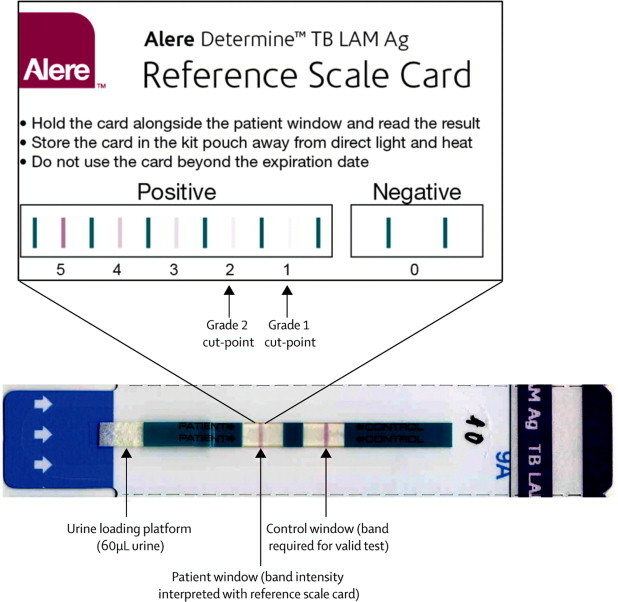 In 2010, a convincing paper by Charles Gabbert and his group published a remarkable paper showing a convincing link in terms of serology exists. The study used a serum antibody assay and evaluated the presence of neutralizing antibodies. They found a strikingly significant association between obesity and AD36-specific antibodies in children. More recently a study by Almgren M etal used ELISA test and observed similar findings. That brings me to a question- Why? The answer comes from a study by Sharada D. Vangipuram and colleagues in 2004. The study concluded that adv36 has potential effects in enhancing differentiation of preadipocytes. The mechanism was traced to viral RNA expression pattern by M Rathod etal. This new knowledge had enhanced our understanding of infectious etiology of obesity. 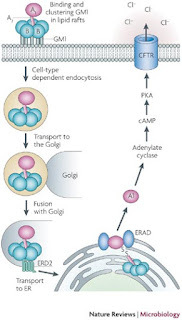 Another paper in 2008 by Wang etal demonstrated adv36 infection increases glucose uptake in cells via Ras-activated PI 3-kinase pathway in an insulin-independent manner. Out of curiosity i did a data search and found that prevalence of adv36 infection ranges from 30%- 65% depending on the population surveyed. But then i don't want you to blindly believe that adv36 is the one and only. There was almost 10 infectious possible agents speculated to be linked to obesity, at least in animal models (Reference). SMAM-1, an avian adenovirus was one of the first implicated (Reference). A more recent paper by Zeigler etal has proposed 23 bacteria in oral subgingival biofilm showing, significant link with adolescent obesity. P. gingivalis, A. actinomycetemcomitans, P. micra, Firmicutes, Bacteroidetes, Campylobacter rectus and Neisseria mucosa were the highlihted organisms in the paper. 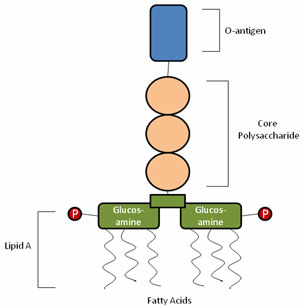 Firmicutes in mice are known to enhance absorption of monosaccharides (in mice models) that results in enhanced lipogenesis. This all makes sense as i have said in the first part of the post here that we have an incredible relation to microbiome. I recall from a study that i have read long before (Cant find the reference now), that having different microbiome in gut (in twins) made the one lean and one fat!!! Don't take my word for it. As i have said earlier some 60% can be attributed to genetics and environment also. And there is a study that shows a lack of evidence of adv36 association with obesity (Reference). My take home message is simple. A lot of new studies shows the importance of microbiome rather than a single microbe involving with various diseases in humans. But then environment, genetics, lifestyle etc are also confounding variables. So if someone says obesity can be treated with anti-virals i would want to take a second look. My last post on Koch postulates and its molecular version has met with a great deal of interest and response. Microbes have always been interesting. And as old theories have been thrashed or modified as per the standards set by new age science, newer perspectives and theories emerge. And as i have previously mentioned in my other posts, we are in age were microbiology moves into areas of ultra speciality. It has been too difficult to keep up to date, with even single topic such as Retroviruses. Lest alone there is none out there who can be up to date in microbiology. But then even in this era of information expansion, we still are interested in some basic microbiology. In my previous post i mentioned of Molecular Koch postulates as proposed modification. And that post paves way for one more aspect that warrants a discussion here. Am referring to "Virulence factors". Am not going to post a very long essay here on all the virulence factors that we know exists, but rather more general. What exactly is virulence factor? In the simplest of terms, virulence factors are biological components that a microbe produces (Secreted or bound), which can significantly impact the host and facilitate infection. This has been the definition that we as microbiologist has been using for a very long time. Lets, have a deeper look at this. Let's first consider the case of a bacterial factor- Enterochelin. 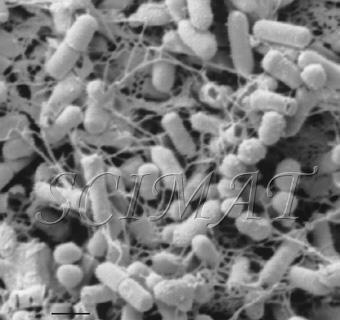 Also known as enterobactin, are high affinity siderophores that can take up iron; found in variety of Enterobacteriaceae members and other Gram negative bacteria. The factor is a survival component of the bacteria. One mechanism of host defense is to chelate these iron and make it unavailable for bacterial use. Iron being a very important component of many vital enzymes in the bacterial cell is thus effected. Evolutionarily, many microbes have evolved high affinity iron binders for this purpose. Hemolysin helps in lysis of RBC which releases iron in the form of Hemoglobin which can be taken up by bacteria. So in traditional sense, the enterobactin and hemolysin are classic examples of virulence factors. If you refer back to Molecular Koch Postulates, virulence factor is something that is exclusively a property of disease producing counterpart. Enterochelin (And other iron uptake mechanism) is present in E coli of normal flora. But then, these are not pathogenic. They just need to survive there. So should i consider the iron sequestering factor here as a virulence? "Given that many of these structures and strategies were discovered and characterized in pathogens and because they often play important roles in establishing and maintaining an infection, they have often been characterized as virulence factors. It would be misleading to describe the same strategies and structures found in harmless commensals as ‘virulence factors', since they represent a sine qua non for life in the gastrointestinal tract. It may be time to re-consider these as ‘niche factors’, both in terms of providing scientific accuracy but also in light of the growing interest in using gut microbes as probiotics where the distinction between virulence factors and niche factors is likely to be very important from a regulatory perspective." Iron sequestration is not just the only example. In the realm of bacteria, fungus and even protozoa, multiple different molecules are often listed in the literature as virulence or pathogenic factors. Please note, i here by no means, am making a statement suggesting that all the factors we know are not classifiable as virulence factors. My point is we have, at least some of them are misclassified. So, where do we put a mark of distinction? Consider Klebsiella pneumoniae capsule. All the Klebsiella that possess capsule do so because it empowers them to survive in the host. Wait a minute!!! I just said, something that is absolutely essential for survival should not be considered as virulence. This is where the line is drawn. The capsule is not essential for the bacteria to survive in normal conditions. If you knock of the capsule the bacteria still can grow happily but, will not be fit to cause a disease. And thus, there is a solid reason to state, capsule is a virulence factor. The argument such as this is not as simple as it seems and made here above. However, in most of the scenarios exotoxins, capsules, fimbriae and enzymes such as coagulase etc qualify themselves as virulence factors. But endotoxins (basically LPS), which are an integral part of the cell structure is subject to argument and probably the weight of argument suggests that they are simply niche factors. So far so good. Let's consider a more complicated issue of viruses. These are obligate intracellular parasites. The elegance of these cell parasites comes from their genome which has so little coding that they keep only what is absolutely essential. Which means everything is a factor of fitness and technically nothing is virulence. But then we also know that almost every component of viruses have been designed for destruction of some cellular response or component so as to benefit the intruder. Only this can aid in virus survival. In classic sense, virulence. My remark in summary is only such. All that you find inside a microbe that interacts with host cell is not virulence. The factor in question should be sufficiently different from its non pathogenic counterparts with observable consequences. Needless to say, I have been reading multiple papers in journals that states "We propose X factor in Y bacteria is a novel virulence factor" and blah blah blah which in reality doesn't qualify as one. This understanding is more important when we are dealing with organisms that need to go through Molecular koch postulates. Only if we have identified the right virulence factor can we prove that the organism has sufficient role in the pathogenesis of an infection and hence a pathogen. Wrong factor proposed as virulence may lead to considering some bystander or normal flora members as pathogenic. I need to make a note here that i haven't yet, to the day of writing this blog, got to read the paper said below, but the title of the paper inspired me to write on this same topic. I hope to get it soon and probably i will have more opinions to make. Colin Hill (July 2012). Virulence or niche factors; what's in a name? Journal of bacteriology DOI: 10.1128/JB.00980-12.